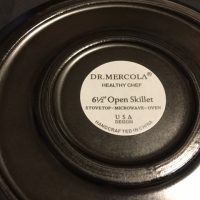 Dr. Mercola “Metals Free” Frying Pan: 14,900 ppm Lead. 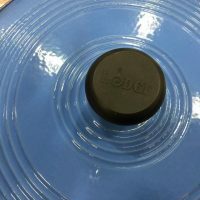 Check out the 140+ comments on this one too! 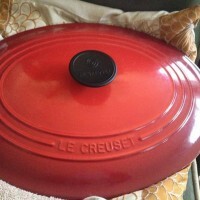 Le Creuset Casserole. red coating: 11,900 ppm cadmium. The exterior coating was non-detect for lead. Inside: non-detect for cadmium. 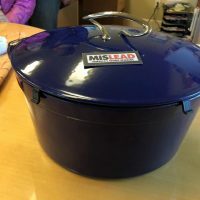 Click here to read about #CadmiumConcerns Tested with an XRF —- #XRFTesting #LeadedDishes • #LeadSafeDishes For more safer choices in dishware options, click here. 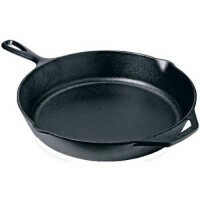 Ask Tamara: Does cast iron have lead? 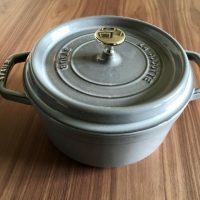 Are cast iron pans safe?